Danish Cookies are well known all over the world, especially around Christmas where you will find them in your local supermarket, whether you are living in USA, Australia or Asia. 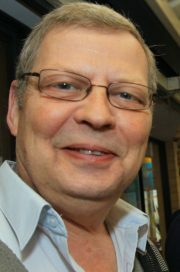 It is a big export in Denmark and there are a number of factories that specialise in Danish Cookies, like Kjeldsens Danish Butter cookies and Jacobsen’s Danish Butter cookies. Their production lines spit out about 8000 cookies a minute when up and running and are packed in nicely decorated tins in a variety of sizes. Mix all ingredients together in an electric mixer, put mixture in a pipping bag and pipe out on baking Paper in circles at about 5 centimetres in diameter with a large star nozzle, keep in mind that the cookies will run out a little during baking. Baking Time 7-10 min, depending on oven. Mix all ingredients together , do not over mix. 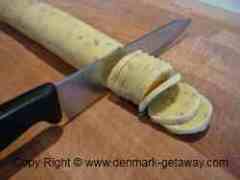 Divide into 3 pieces and roll out in asausage shape to about 3.5 cm in thickness. Cut out in pieces about 2 ½ -3 mm thick and tray up on baking paper. Add some chocolate drops before rolling out. Add some crushed Pecan nuts before rolling out. Divide the dough in two pieces and add cocoa to one piece. Roll both pieces of dough out flat in a square, wet one piece slightly with water and place the other piece on top, again wet slightly with water and roll up tight like a Swiss roll. Roll out in a sausage shape about 3 ½ cm thick and refrigerate, cut out 2 ½ - 3 mm thick. Roll out about 1 cm thick, place on baking paper and refrigerate. 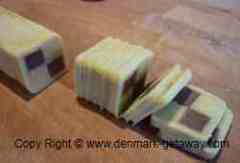 Cut out in slices about 4 ½ cm x 1 ½ cm. Brush with egg, sprinkle with crushed nuts and sugar. Tray up on baking paper, leaving as much space between the cookies as the cookies are wide. Baking Time about 8-10 min. Divide into 4 pieces and roll out to about 30 cm in length and refrigerate. Cut out 30 pieces off each roll and place flat, (cut side up) close together on a piece of baking paper. Brush with egg and sprinkle with sliced hazelnuts or nuts of your taste. Tray up on baking tray with baking paper. 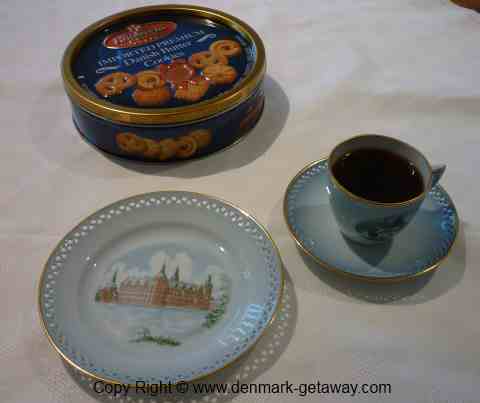 Melting moments (in Danish, Fedt Kager). With beater, beat the Lard and Sugar well and add Egg White gradually. Sift Flour and Bi-carbonate of soda and add to the Lard and Sugar and mix dough well together. Divide dough in two pieces and add the Cocoa to one piece. Scale off at 500 g and roll out long, divide each 500 g piece in 35 pieces. Roll to a ball and place on a baking tray lined with baking paper and push down with your thump lightly in the centre. 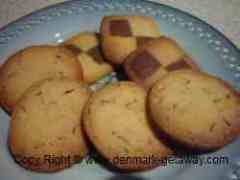 Enjoy your home made Danish Cookies.